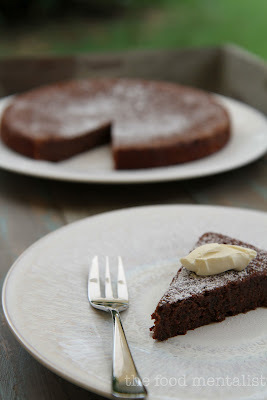 Chocolate cake often conjures up thoughts of indulgence & richness. And lets face it, richness often means calories. Something be enjoyed in moderation, a treat perhaps. 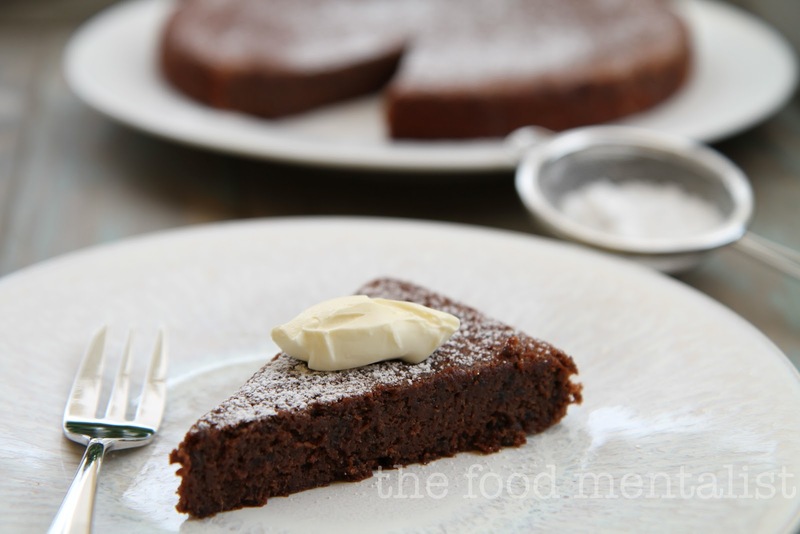 Last year I posted the Best Chocolate Cake recipe, and it remains so. This cake is different. It has no butter. It is not dripping in chocolate and it is packed full of fibre. But don't let this description put you off. The addition of prunes gives the cake a wonderful moist texture not dissimilar to a mud cake. If you are anything like me and need your regular chocolate fix, this cake can help you have that without leaving you feeling that you must book that PT session or bust out the weights whilst watching TV. 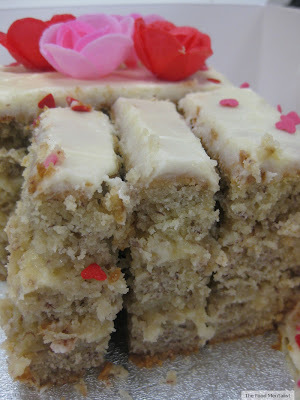 Instead, sit back have a nice cup of tea or coffee and enjoy a slice of this cake - completely guilt free. Lately, I have been on a bit of a health kick, I had a small health scare which begun late last year, and saw me end up in the emergency department of Hobart hospital on New Years Eve. Luckily I was out in time to make it to an amazing dinner at Garagistes which we had pre-booked months before. Carry forward a few months, another trip to emergency, and many tests and I am happy to report I am fighting fit. I have even started my running program again which I had to put on hold late last year. Now, weight loss is a tricky entity, often associated with bland food, portion control and going without. This cake fits in nicely with a healthy eating plan. Usually, if one puts weight loss and chocolate cake in the same sentence you are sure to hear gasps of disbelief, see eyes rolling and hands on hips. Well, I can attest that the week I made this cake I actually lost 1.1 kilograms. So forget that old adage. You can have your cake and enjoy every bite of it! first preheat oven to 180'C. Spray/grease a 20cm round cake tin and line the base with baking paper. Place cocoa, prunes, vanilla, milk and half the brown sugar in a bowl of a food processor and blend until smooth. Melt dark chocolate in a double boiler or in bowl over pot boiling hot water, set aside. Beat eggs and remaining brown sugar in a bowl until pale and creamy. Gently stir in prune mixture using a metal spoon. Next fold in sifted flour. Finally, stir in melted chocolate and transfer cake mixture to the prepared tin. Bake for 30-35 minutes, or until a skewer inserted into the centre of the cake comes out clean. Cool in tin before turning out the cake and dusting it with icing sugar and cocoa powder. I serve mine with a little creme fraiche. It adds something extra to the cake and helps to break down the sweetness. What are your thoughts about eating healthy alternatives? Wow I think you would have everyone fixated just from the title! I suspect that it's a lot of people's dreams come true :P The cake looks amazingly good! What a great alternative to the usual chocolate cake! Thanks Lorraine, it is a lovely cake. Sweet & moist. Yum! LOVE this, what an awesome original recipe! I am so in need of a healthy chocolate cake at the moment if you know what I mean. This will help get me through Easter too!